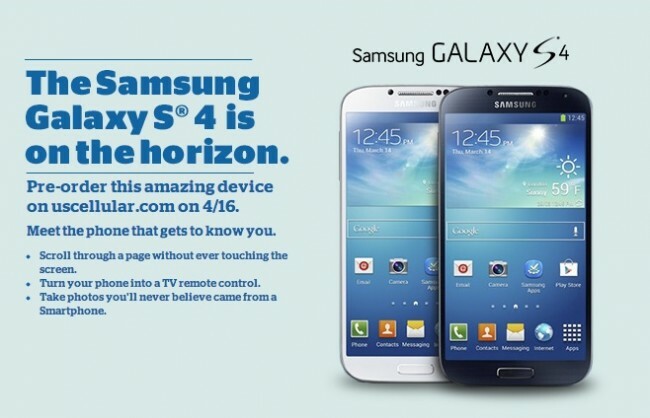 On the heals of AT&T’s announcement that they would open up pre-orders for Samsung’s new Galaxy S4 on April 16, US Cellular has decided to join the party. The somewhat smaller U.S. carrier will also host pre-orders on April 16, though they haven’t given us any pricing details. AT&T set their pre-order price at $249 on 2-year contract. We still have no word out of Sprint or Verizon. T-Mobile tossed out an early May date previously in the week when they talked up their new LTE network and pricing plans.